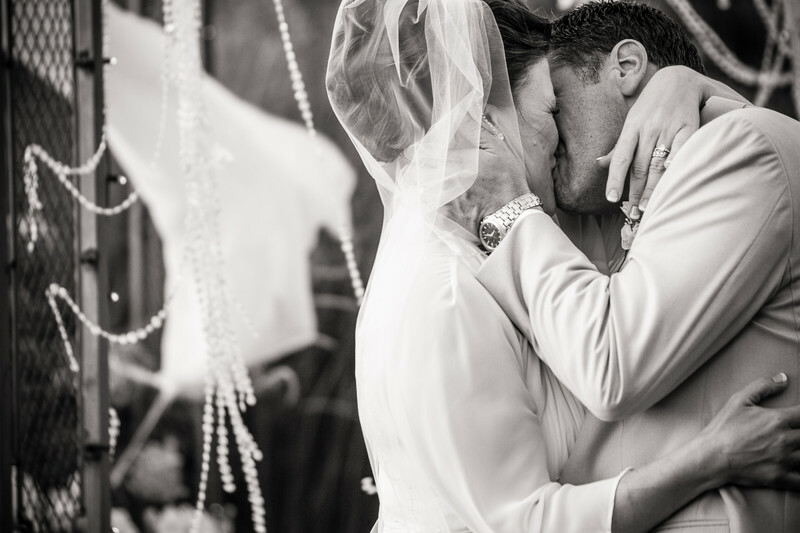 The first kiss is probably the most iconic parts of the wedding day. I have seen everything from a quick peck on the cheek so quick that I nearly miss the photograph to long mush face kisses. My favorite first kisses would have to when the bride and groom embrace and have a nice long kiss. Enough to get at least a couple photos. this kiss was one of those good long ones where I had time to compose several different compositions. I love how you can still see her smiling even with her face pushed up against his. This was from a wonderful sunset wedding at Bloch's Farm in Green Lake, Wisconsin. 1/125; f/3.2; ISO 320; 200.0 mm.